Sleep Your Way to Good Health: 7 Steps to Make Tonight the Best Night of Sleep You Have Ever Had! Having problems sleeping at night? Want to wake up refreshed and energized every morning? 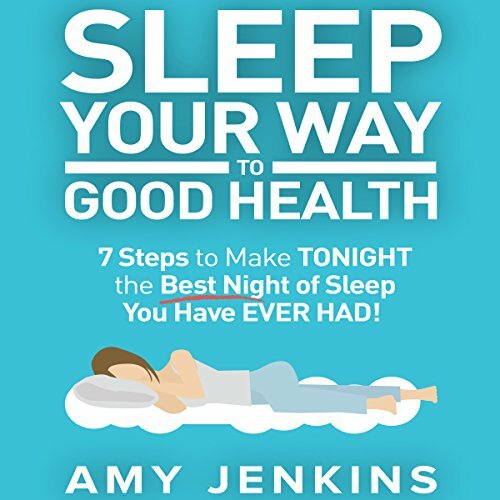 From the best-selling author, Amy Jenkins, comes Sleep Your Way to Good Health: 7 Steps to Make Tonight the Best Night of Sleep You Have Ever Had! (And How Sleep Makes You Live Longer & Happier). This audiobook will help you improve your body and health by sleeping the right way! Then, this audiobook is for you! This audiobook provides you with the perfect guide to lose weight without having the need to go to the gym! Transform your body and mind in just a few days!